but is also good for you – and now they are coming to the UK. The founder Jukka Peltola, previously a game developer at Rovio, grew tired of the lack of healthy snack choices, especially in the chocolate department. A huge fan of cocoa and raw chocolate, Peltola knew he would have to take action, and decided to start his own healthy raw chocolate company. 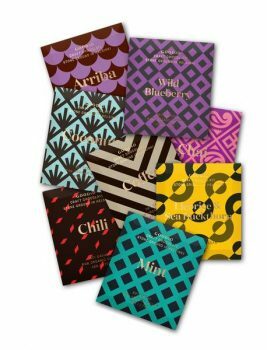 The goodness of Goodio does not stop in the taste and health benefits – the company also sources the cacao from independent producers, and uses factories in Helsinki that take part in programs hiring long-term unemployed. Hausfeld is a leading global law firm with offices in Berlin, Boston, Brussels, London, New York, Philadelphia, San Francisco, and Washington, DC. The firm has a broad range of complex litigation expertise, particularly in antitrust/competition, financial services, sports and entertainment, environmental, mass torts, consumer protection, and human rights matters, often with an international dimension. Hausfeld aims to achieve the best possible results for clients through its practical and commercial approach, avoiding litigation where feasible, yet litigating robustly when necessary. Their extensive experience with alternative and innovative fee models offers clients a diverse menu of engagement options and maximum flexibility in terms of managing their cost exposure. Hausfeld is the only claimants’ firm to be ranked by the Legal 500 as a top tier firm in private enforcement of antitrust/competition law in both the United States and the United Kingdom. For more information about the firm, including recent trial victories and landmark settlements, please visit: www.hausfeld.com. To get in touch with Hausfeld, contact Andrew Bullion at abullion@hausfeld.com . To read more about Andrew Bullion and his work, click here. Our Corporate Member, the IoT connectivity company Wirepas has just released exciting news about a partnership with the Japanese ICT company Fujitsu. Fujitsu and Wirepas partner to enable secure, scalable and flexible IoT solutions. The high-quality Fujitsu sensor beacons with Wirepas Connectivity offer an easy-to-use, connected module for various IoT application areas, such as healthcare, industrial automation and smart building. With the Wirepas Connectivity protocol, Fujitsu is now able to offer ready-to-go solutions for various IoT applications – for example a connected sensor beacon with an embedded high-accuracy accelerometer/temperature sensor. Find out more about the partnership on Wirepas’ press release! FROSMO software and services enable you to achieve unprecedented freedom, speed and cost-efficiency in developing unique experiences for your online customers. Thanks to FROSMO’s Single Tag based UI improvement methodology the potential of your website will be released to the fullest, bringing competitive advantage and increased ROI. The untimely loss of its founder inevitably presents any company with a challenging period of reflection regarding matters strategic and managerial. Goodwille Ltd has been no exception, but when they wrote to their clients and other friends of the company in July 2016 to impart their sad news, they made it clear that there would be no immediate change in the strategic direction of the company. With regard to the future management of the business, it was always the founder Annika’s wish that her family continue her work by further developing Goodwille Ltd.
Goodwille are therefore pleased to announce that Alexander Goodwille, Annika’s eldest son, who has been providing IT consultancy services to the company for the last two years, will become CEO as of 1st March 2017. An official part of Finland’s centennial celebrations, HundrED is a Finnish-born project researching global innovations in education, and helping to disseminate this best practice. HundrED has offices in both Helsinki and London, where the teams are working to find 100 innovations in Finland locally and 100 innovations from around the world. In London, the HundrED global team have just announced the first ten global innovations, whilst in Helsinki the Finnish team have just announced the final twenty-five Finnish innovations. HundrED will be trailing the Finnish innovations in schools across the country and their project pages will be updated as the experiments are put into practice. The remaining ninety global innovations are currently being researched and will be announced in the Fall of 2017. All the global innovations will be assessed by expert advisory boards, as well as student advisory boards too, before being selected. The themes of the innovations span the whole spectrum of K12 education, tacking the diverse multitude of problems and aspects of education that need innovating. All of the HundrED innovations must adhere to the same criteria, they must be innovative, scalable and high-impact. Come the Fall of 2017, the 100 Global innovations and 100 Finnish innovations will be packaged and shared with the world for free, so that anyone anywhere in the world has access to HundrED’s work and can improve education where they are. For more information go to hundred.org. The Finnish-British Chamber of Commerce in London is recruiting two new Marketing and Events Coordinator Trainees. Positions are due to start in August 2017. Each term is an internship of circa 5-6 months. 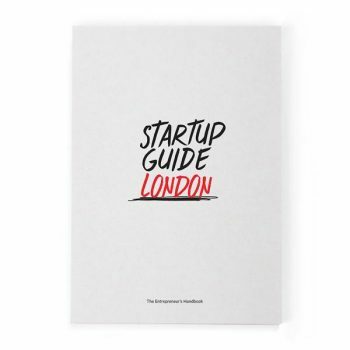 Filled with case-studies, expert advice, interviews and local tips, the Startup Guide is essential reading for anyone interested in starting up a business in London, whether they are new to the city, new to the startup scene or seasoned business people starting again. Our Patron Member, professional service provider Goodwille are also included in the guide, sharing valuable information on how to successfully expand business into the UK. With vast experiences in helping companies launch in the UK, Goodwille offer readers their best tips and tricks and share mistakes they often see companies slip up on. Newmedia2.0 are delighted to offer 15% discount on the Startup Guide to all FBCC members. If you are a member and wish to use the offer, please contact us at events@fbcc.co.uk. The offer is valid until the 14th of May 2017.